They have the power to shut down cities, damage national economies, and even jeopardize the Olympic Games. As one epidemic after another has emerged during the past few years, we in the global health community have become hypervigilant about global health security. The world continues to recover from the worst Ebola outbreak in history only to find itself in the midst of an unprecedented Zika epidemic. We all want to be safe, but can’t eliminate every threat. Nonetheless, the world can be better prepared to respond. We don’t know what tomorrow’s big global health threats will be, what medicines we’ll need, or what symptoms will crop up, but we do know health workers will be on the front lines of the response and need information to act quickly. During epidemics and other crises, health workers are often treating conditions or illnesses for the very first time or in an extreme environment. This stretches the limits of their skills, training, and energy—and sometimes leads to dangerous mistakes. When West Africa’s first Ebola patients starting coming into health centers in 2014, many health workers understandably misdiagnosed their symptoms as malaria or other locally common illnesses. After all, these health workers had never seen Ebola in their countries. But even after Ebola had been confirmed, health officials had no way of reaching most health workers in real time with critical information about the outbreak, appropriate treatment, and safety precautions they should take. As a result, the region lost more than 500 health workers to the very disease they were trying to fight—a staggering loss to countries that already struggled with massive health worker shortages and vulnerable health systems. Would the outcome of the epidemic—more than 11,300 lives lost—have been different if those countries’ health systems had been stronger before the epidemic? If, for example, officials could have immediately put health workers across the region on alert after the first confirmed case and shared knowledge with them about how the virus was spread? Surely it would have saved lives within the affected countries and kept their neighbors more secure from the outbreak. Timely access to the best information and support available for health workers during a crisis is essential. Today, simple cell phones can help keep them connected even the most remote and under-resourced health sectors—but it takes advanced planning and preparation. One innovation born of the Ebola crisis is mHero—a two-way, mobile phone-based communication system that uses basic text messaging, or SMS, to connect ministries of health and health workers. 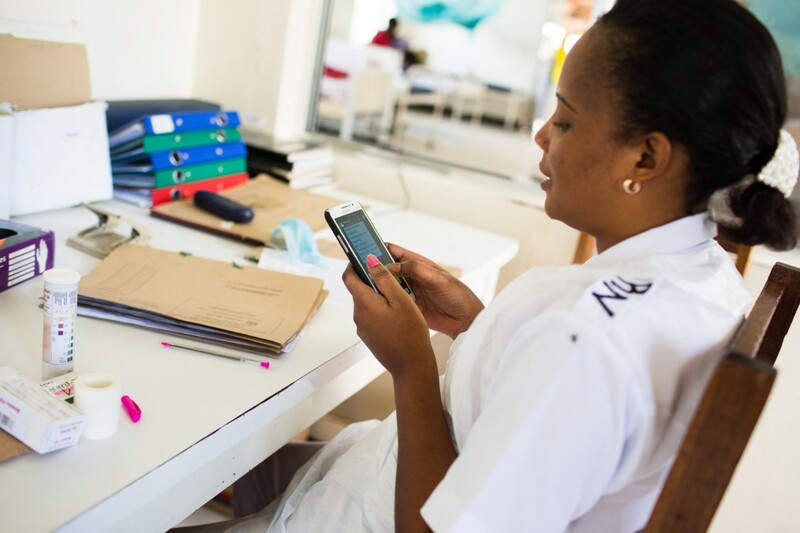 By linking data already collected in various open source national health information systems—such as health workers’ cell phone numbers and facility locations—mHero allows health officials to send targeted messages to health workers, who can then respond with their own information. But strengthening national health information systems and deploying a new communication protocol for the health sector is not done overnight in the middle of an epidemic. It takes time, stakeholder engagement, and government leadership to institutionalize tools like mHero within the health system so they are available to use—and already familiar to health workers—when a catastrophe hits. The mHero innovation emerged as a response to the Ebola crisis and can now be used to help respond to new cases, flare-ups, and future epidemics. And it’s already being used to respond not only to Ebola, but also to other health challenges. In Liberia, the government has used mHero to assess the population’s mental health needs and conduct a health information system assessment. Guinea plans to use mHero to improve maternal and newborn health care, a critical need in a country with persistent, yet preventable, maternal health morbidity and mortality. When we invest to give health workers what they need to do their jobs—whether it’s stronger communication, improved training systems, or more reliable supply chains—not only do we succeed in tackling the crisis du jour, we also build stronger, more resilient health systems in the long run. As we celebrate World Health Worker Week while Zika continues to spread rapidly, we’re reminded that we urgently need to ensure all health workers receive critical information in real time during a health emergency. What information do frontline health workers—particularly those serving marginalized communities—need to provide high-quality health care and counsel their communities on Zika? What difference would it make if they had access to changing guidance and updates as soon as they were available? This is 2016. We can’t wait for the next epidemic to implement relatively simple yet powerful solutions like mHero. There is no reason people should be dying or making misinformed health decisions today due to a lack of timely information.